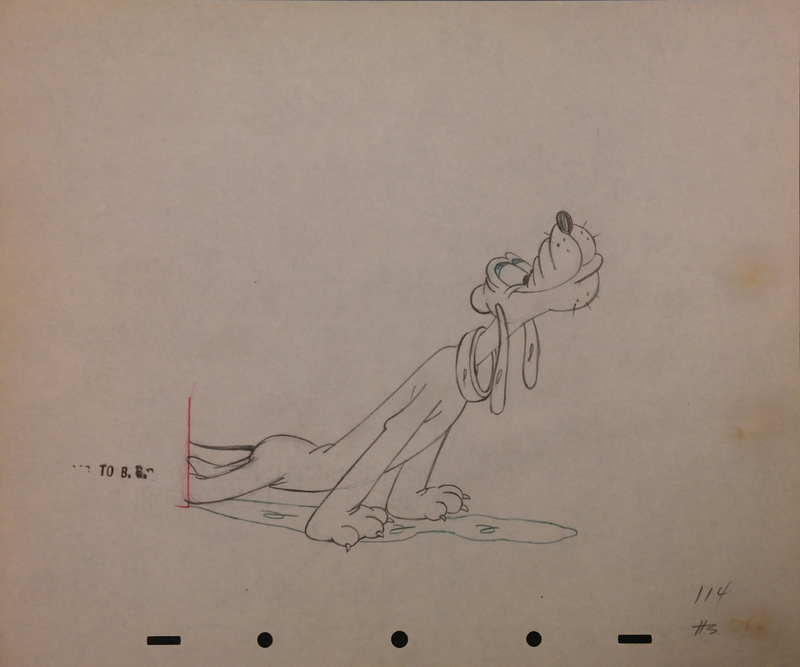 This is an original drawing from the Walt Disney Studios Pluto short, Bone Trouble (1940). The drawing features Pluto himself and was created and used during the production of the short. The untrimmed animation paper measures 10" x 12" and the image of Pluto measures 5" x 6". The page has experienced some discoloration that appears to have been caused metal oxidation.